1. 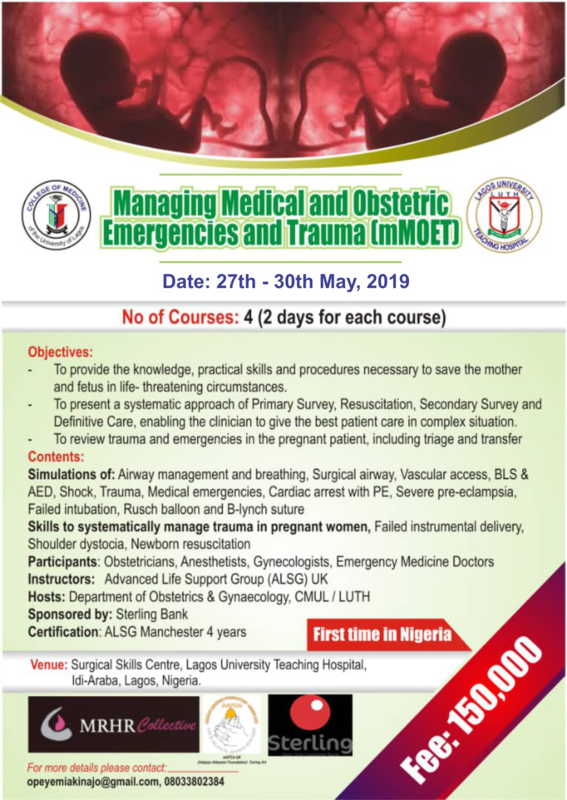 To provide the knowledge, practical skills and procedures necessary to save the mother and fetus in like-threatening circumstances. 2. To present a systematic approach of Primary Survey, Resuscitation, Secondary Survey and Definitive Care, enabling the clinician to give the best patient care in complex situation. 3. To review trauma and emergencies in the pregnant patient, including triage and transfer.